Editor's note: Today’s guest blogger is Carl Rossey, COO of Raiffeisen Bank, one of the top five banks in Romania and a unit of Raiffeisen Bank International. See how Raiffeisen Bank uses Google Apps for Work and Android for Work to work better together across its 527 branches and offer innovative banking services to two million customers. The way people manage their bank accounts today stands in stark contrast to a decade ago, or even just a few years ago. Where they once walked into branches to deposit or withdraw money and check on their balances, they now use laptops and mobile devices, and they do it from anywhere and at any time of day. As a business, we know we need to change with them, to be as mobile as they are, so we’re on a constant quest to transform both how we work with our customers and how we work ourselves. Moving to Google Apps for Work and using Android for Work are two steps we’ve taken to further that digital transformation. We’re proud to be one of the financial services industry’s earliest adopters of Google to create true mobility for both customers and our team. Before moving to Google, we were relying on tools that held us back rather than pushed us forward. We were using Lotus Notes, which lacked the necessary collaboration tools and required people to be at their desks to do their work. We had to shuffle presentations and reports back and forth between employees, so new products took months to get to markets. Our deployment to nearly 5,400 employees took just 90 days, and with the help of our implementation partner Netmail, we’re already on our way towards becoming a completely new bank. During the rollout, for example, we created a Google+ community called “Simply Coll@borate,” and invited employees to share advice and tips on using Google. It quickly became the fastest and most useful channel for seeking guidance on our new tools. And our Project Management Office, the first department to shift all its work to Google, now creates and shares Google Docs and Google Sheets in Google Drive, and builds monthly project reports using Google Slides. Our Human Resources department used to gather feedback on training and hiring by using paper forms or sending out emails that generated few responses. Now they use Google Forms to make data collection easier and more seamless – like gathering suggestions for improving the quality of HR services. They’re also replacing phone interviews with interviews via Google Hangouts, as meeting candidates over video helps hiring managers get more accurate first impressions. The retail bank sales team also uses Hangouts for sales meetings, saving travel time and costs. 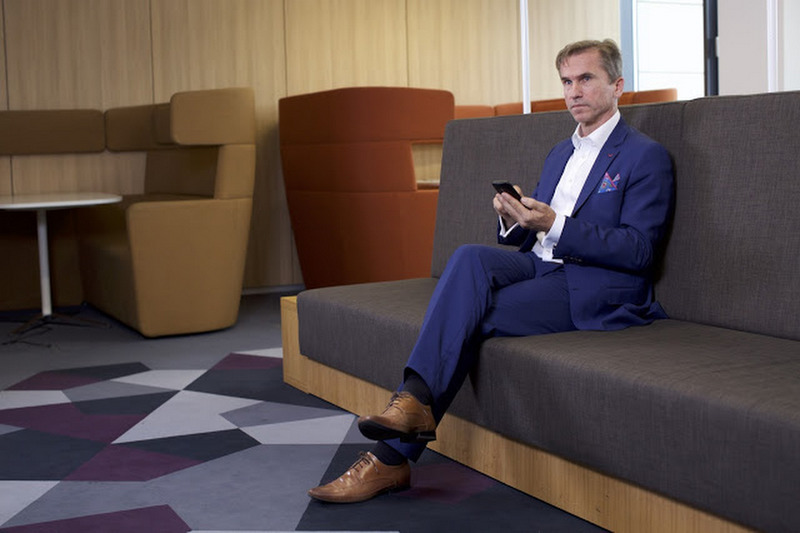 We’ve also completed rolling out smartphones equipped with Android for Work to every employee, and we believe we’ll see our vision for the mobile Raiffeisen Bank team come to life. No longer tied to our desks, we’re free to work in new ways for our customers. We save them time and offer them a higher level of customer service by meeting where they work — or from anywhere using Hangouts on mobile devices. We put the rigid ways of traditional banking behind us and have our sights set on a more flexible, innovative future.